Forwarded e-mails are behind many computer viruses and Internet spam. So I’m going to tell you everything you need to know about forwarding emails. Truthfully, email forwarding should really be considered an art form — because there are experts who do it correctly every day and some very bad mistakes that people make forwarding emails every day. For example, have you ever accidentally hit ‘Reply All’ and then immediately winced in pain — while frantically trying to hit ‘Cancel’ after realizing that you just replied to all? You’re not alone — it happens to the best of us — and so do a lot of other mistakes we don’t want to make when we’re in our email boxes. In very simple steps, I’m going to show you how to forward an email message (the right way) and how to send an email to many people at once — a group email. TIP: If you want to forward an email that has already been forwarded many times before — one where you have to keep opening email message within email message before you eventually get to the one with the information in it — make sure you click the ‘Forward’ button when you’re on the actual page that you want your friends to view. (This is usually the last/most recent e-mail in the chain of forwards.) That way, your recipients won’t have to keep clicking through just to see what you sent. And, many won’t click through an email these days anyway — for fear of getting a virus — so your message could go unread. Instead of using the TO: line or even the CC: (Carbon Copy line), use the BCC: (Blind Carbon Copy) line instead – this hides all of the other email addresses that you’ll be sending this message to, so the people you send to will only be able to see their own e-mail address and no one else’s. This may not seem important at first, especially if you’re only forwarding something to one person. 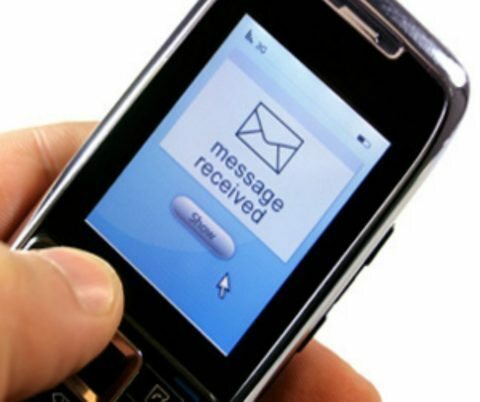 But if you think ahead to how forwarded messages eventually get re-forwarded on to more and more people, then you’ll realize the importance of “hiding” the email addresses of your friends any time you can. This will encourage the recipient to actually open the email. Many people (including me) don’t even open forwarded emails anymore. Not wanting to take any chances with viruses or spam, lots of people send forwarded emails right to the trash bin. Forwarded emails are generally a big waste of time — because jokes and recipes are so easy to find these days, we don’t need our friends to forward them to us anymore. TIP: You should always write your own Subject line anyway. The takeaway here is to personalize each and every email you forward in such a way that it doesn’t even look like a forwarded e-mail. You do want people to read it, don’t you? If what you’re forwarding is truly worthy of being passed on, then you shouldn’t be ashamed of titling it something that would meaningful to your friends. Step #4 – Once you have all of the email addresses you wish to send your message to entered into the BCC: space and you’ve removed the ‘FW:’ from the Subject line, simply click ‘Send’. Wah laa — you’re done. You’ve just mastered email forwarding… the right way! The recipients of your message will appreciate that you’re not tossing their email out there into the hands of potential spammers that gather as many email addresses as they can from forwarded emails — just so they can re-spam and re-forward emails over and over again. 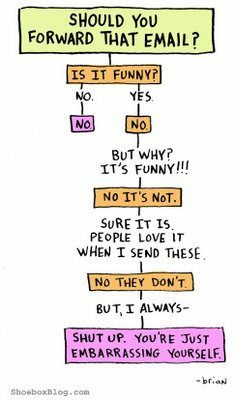 These are some other things to consider before you send or forward an email message. Question: What do you do when you’re not forwarding an e-mail message per se, but rather you have a list of 3… or 5… or 20… or even a hundred people that you want to send a personal e-mail to? Answer: Simple. You “hide” all of the email addresses as explained in Step #2 above. Remember, when sending emails to more than one person, always use BCC: instead of TO:. That way, no one can “see” or “grab” anyone else’s email address. Your friends and colleagues will thank you for this! For the record, I continue to be amazed by how many professionals (we’re talking “big” people in “big companies” — even those who are familiar with computers and the Internet) continue to exploit the privacy of their friends and clients simply because they put all of the email addresses in the TO: line, instead of “hiding” them in the BCC: line. Spam is spam… Don’t do it! And don’t make it easier for others to do it — by giving out your friends’ and colleagues’ e-mail addresses in the emails that you forward.